Events Listings... post 'em here! 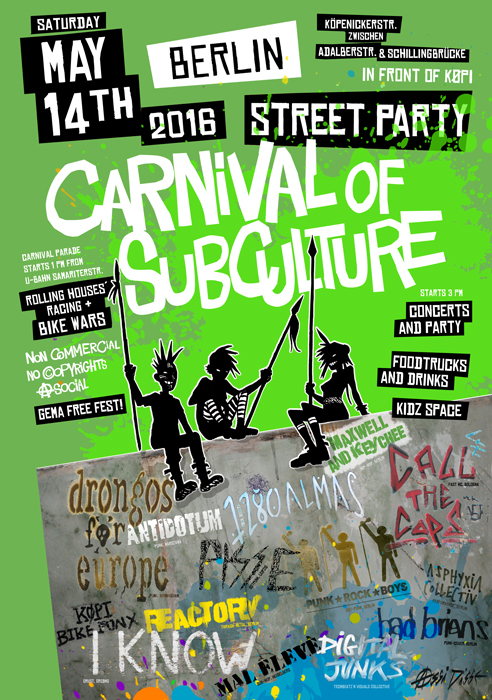 Street festival of the berlin subculture. With concerts, performances, parties (yes, electronic music as well) and more. In the Køpenickerstrasse (Berlin), in front of Køpi. It's a free festival! Free entrance to all events and areas! Last edited by catzwailen on Wed May 11, 2016 8:39 am, edited 9 times in total. Edited with the new poster. Definitive programmation for the festival.